…for “X” marks the spot where in the world the Great Whites are. Q: When was the last shark attack in the Maldives? Q: Buzzzzz! No. The Maldives have never had a recorded shark attack on a human. World Tourism Day today and the Maldives stand tall (much taller than its famously low elevation) among the titans of the travel industry as a bucket list destination. And for selachophiles, the bountiful populations of a range of shark species is one of the many oceanic attractions. Still, for a few of the more aquatically apprehensive, all these dorsal fins can evokes a number of cinematic fears brought on by everything from Jaws to Deep Blue Sea and Thunderball. In fact, nearly all species of shark keep quite a distance from diving and swimming humans. When you spend some time diving and snorkelling with them, you quickly figure out how they are the scaredy-cats of the ocean turning and fleeing at the least disturbance. In most cases, these cartoonishly portrayed “man-eaters” are the species “Great White”. And if sharks’ docile temperament isn’t enough to re-assure you then, you can at least travel to the Maldives knowing that you won’t encounter any Great Whites. 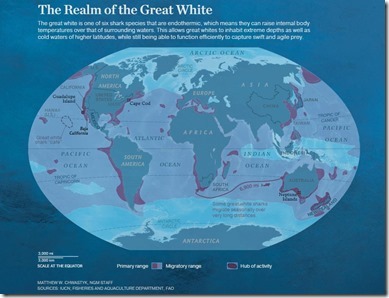 Great Whites are found pretty much all over the world east-to-west, and north-to-south. But there is one place they don’t hang out in and that’s the Indian Ocean (except for a patch off the coast of east Africa). While everyone’s first snorkelling question is about spotting cool stuff, their first concern should be about safe snorkelling. One of the leaders in snorkel safety is Centara Ras Fushi. First of all, they require a swim test before guests are allowed to snorkel the house reef (other resorts like Dusit Thani do this, but it is still a rare measure). They also have the Maldives Coast Guard come and train all their resort employees including groundkeepers and housekeepers in lifesaving. A number of staff have jumped in the water and helped people needing assistance already this year. Finally, they have stairs out of the water and onto water villa jetty placed at regular intervals. That way, if you go out snorkelling and you get tired, you can return onto the jetty relatively easily. In most resorts, you have to get entirely around the water villas and the only way you are allowed onto the jetty is if you are going to your own villa. 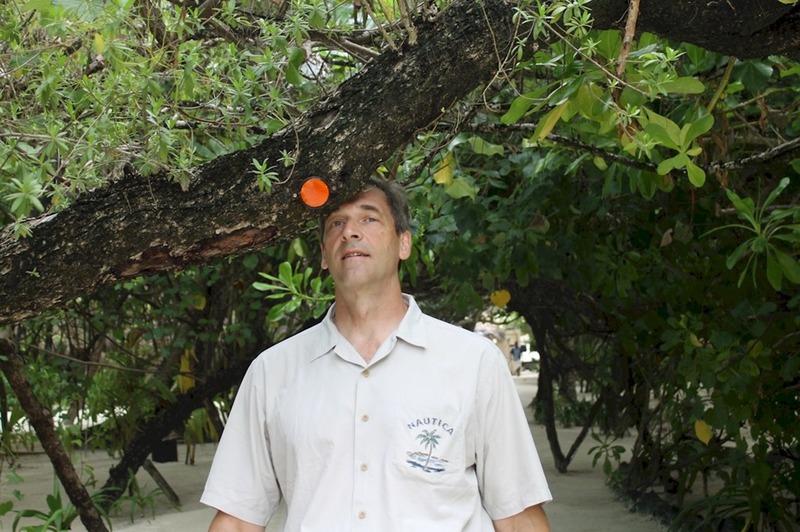 The conventional approach is aggravating as the water villas often extend to the house reef edge. If you go snorkelling around them, then you are forced to commit to the entire distance in order to clear them and get to a beach entrance. 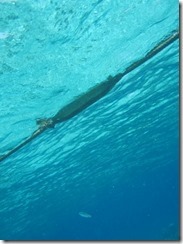 But what is really distinctive is Ras Fushi’s snorkel safety rope. Snorkelers can use it to grab onto in order to secure themselves and give themselves a rest. Or they can even stick entirely to it and use it to pull themselves along for a guided float across the ridge of the drop-off. This use is a benefit to another safety measure – wearing life jackets or using flotation aids. Without question, anyone who has the slightest apprehension about swimming, should consider swimming with a life jacket or floatation aid. They will help protect from the #1 causes of problems which is fatigue and panic. One does need to remember that they are not a panacea and weaker swimmers should not get a false sense of confidence just because they are using these devices. Another issue with using the devices is that they impede mobility. Therefore, the snorkel safety rope could be an ideal complement where a snorkeler is assisted in buoyancy with the floatation aid and assisted in manoeuvrability with the rope. 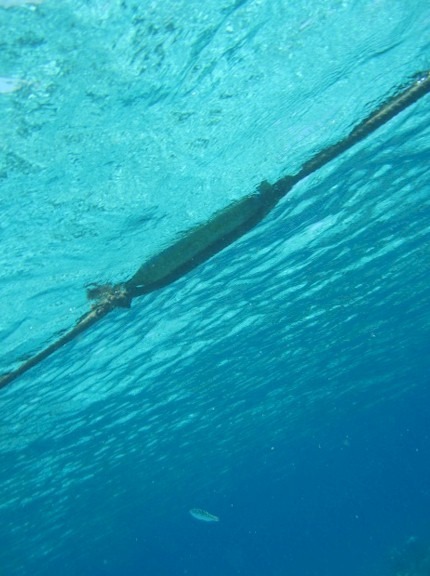 The rope is set just below the surface of the water so it is not visible from the island or impeding the view of those on the island (except for several discrete buoy floats, but such floats are found all around all Maldives islands marking channels, hazards, etc). They have strung the rope completely encircling the house reef. I snapped a photo (see above) when I visited. I tried taking one further back so you all could see in in perspective, but when you get further back, it actually not that visible in the open water. One of the best snorkel “guides” in the Maldives. If there is one “Best of the Maldives” innovation that I would like all resorts to emulate it is Dusit Thani’s snorkel safety programme. We were taken through it by the resort’s dive centre instructor Manon (photo above). REQUIRED SNORKEL BRIEFING – For starters, all guests are required to have a 15 minute snorkel briefing before snorkelling on the reef. If you have not had your briefing and are spotted snorkelling, staff will approach you and politely inform you of the policy. 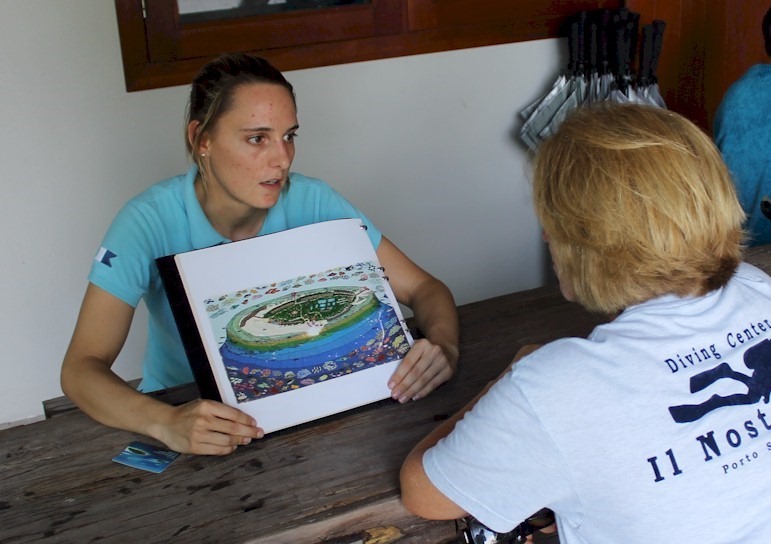 For us, it didn’t matter that we had snorkelled over 50 house reefs and are a PADI Advanced Open Water Diver, we still had to have the briefing. REQUIRED SAFETY COURSE – If you can answer three questions, then you are cleared to snorkel the Dusit Thani house reef after they have shared a few details like entries, some current tips and other basic information about the island’s surrounding waters. The questions are: (a) How does one clear a mask?, (b) How does one clear a snorkel?, and (c) How does one determine current direction? If you can’t answer the questions, the guests are requires to take a snorkel safety course (cost $55). REQUIRED SNORKEL TEST – After the course, you are assessed with a boat accompanying you and your instructor/guide. If you pass, you are all set to snorkel freely on the house reef. TRAINED SECURITY STAFF POSTED– All of the security staff are trained in lifesaving and all 3 of the resort jetties have security staff posted. The posted house reef entry points are located near these jetties and the security staff are instructed to watch snorkelers who go out. Probably the closest thing to full time lifeguards I have seen in the Maldives. A measure I think resorts should consider (though the resort points out that these security staff are not intended as “lifeguards” and people should not depend on them for their safety). LIFEJACKET RECOMMENDED – It still boggles my mind that a number of quite knowledgeable Maldives experts on the Maldives TripAdvisor Forum have asserted the bizarre argument that snorkelling with a lifejacket is dangerous. I think their reasoning is along the lines of (a) “just say no” – ie. if you can’t swim well, don’t try it (nice, in principle, but in the real world people don’t really understand or respect their limitations, not to mention that this prohibition removes one of the great experiences of the Maldives from their visit), and (b) “over-confidence” – ie. the same reasoning as to why some say seat-belts are unsafe – because the sense of security makes you drive more recklessly (one may drive recklessly, but whatever the outcome of your driving, you are safer with a seat belt). Anyway, authorities like the Red Cross and PADI strongly urge the use of lifejackets when engaging in swimming activities where there is any question of swimming capacity (eg. strong swimmers in tough conditions, weak swimmers in easy conditions). 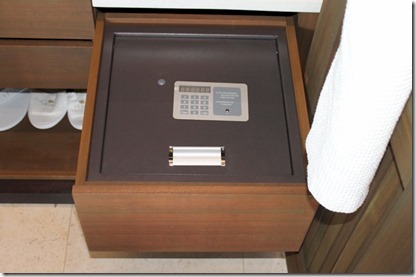 The fact that Dusit Thani strongly encourages this practice is an inspired attitude in my view.